Passes thru BBT before it delivers to Customer! Suppliers must be evaluated before approval by Circuitwala’s supplier evaluation team. In addition, Circuitwala will appraise and rank every supplier once a year to guarantee the suppliers provide the quality materials meeting Circuitwala’s requirements. Furthermore, Circuitwala continuously develops suppliers and promotes them to improve their quality and environment management. Before accepting an order, Circuitwala shall review and verify customer’s requirements to make sure that Circuitwala has the capability to satisfy customers’ requirements including specification, delivery and other demands. 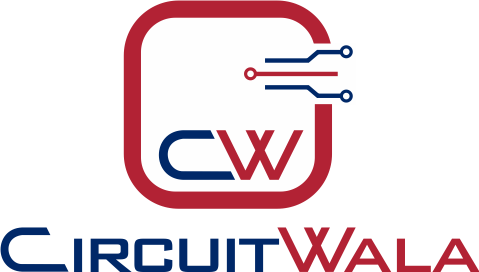 Circuitwala will evaluate all the requirements after receiving the customers’ design data and related document. Then, transform the design datum into manufacturing datum by CAM. Finally, a MI which incorporates the manufacturing datum will be formulated according to Circuitwala’s real manufacturing process and technologies. MI must be reviewed after preparation by independent engineers. Before the MI is issued, it must be reviewed by QA engineers and get approved. Drilling and routing datum must be confirmed by first article inspection before issued. In a word, Circuitwala makes ways to guarantee that the manufacturing documentation is right and valid. In Circuitwala, all materials must be verified and approved before going to the warehouse. Circuitwala establishes strict verifying procedures and working instructions to control the incoming. Furthermore, Circuitwala owns various precise inspection instruments and equipment to guarantee the capability to rightly judge whether the verified material is good or not. Circuitwala applies a computer system to manage materials, which guarantees that materials are used by first-in-first-out. When one material gets close to expiry date, the system will issue a warning, which ensures that materials are used up before expiry or verified before use. Right manufacturing instruction (MI), total equipment management and maintenance, strict WIP inspection and monitoring as well as working instructions, all these make the whole production process totally controlled. Various precise inspection equipment’s including the AOI inspection system as well as perfect WIP inspection instructions and control plan, all these guarantee that semi-products and final products, all reach the requirements of customers’ spec. In Circuitwala, all PCBs must go through the open and short test as well as visual inspection after passed the relative physical tests. Circuitwala owns various advanced test equipments including AOI Testing, X-ray inspection and In-Circuit Testing for finished PCB assembly. Circuitwala sets up a special function, FQA to inspect the products according to the customer’s spec and requirements by sampling. Products must be approved before packing. Before delivered, FQA must 100% audit every shipment for the fabrication part number, customer’s part number, quantity, destination address and packing list etc. Circuitwala sets up a professional customer service team to proactively communicate with customers and timely deal with the customers’ feedback. If necessary, they will cooperate with the customers to solve the relative problems on the customers’ site. Circuitwala is highly concerned about customers’ needs and periodically surveys customers to learn about their requirements. Then Circuitwala will timely adjust the customer service and make the products meet customers’ needs.